More than just a delivered wholesaler, Blakemore Wholesale Distribution is your flexible supply partner. We have the flexibility to devise bespoke logistical solutions to meet individual customer needs and the ability to create bespoke ranges and contracts for customers, helping to ensure consistency and compliance for multi-site operators. 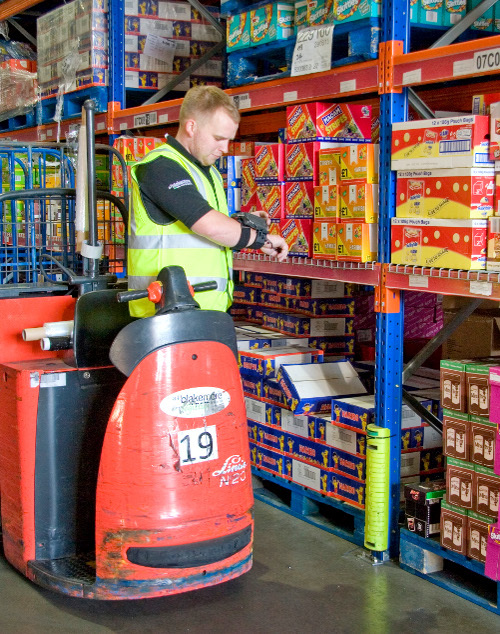 Big enough to cope but small enough to care, Blakemore Wholesale Distribution runs an operation dedicated to customer service. Blakemore Wholesale Distribution distributes to customers across the UK six days per week, operating within a 48-hour delivery time frame. Our mixed fleet of 40+ vehicles, ranging from 44-tonne articulated lorries to Sprinter vans, covers more than half a million miles each year, delivering six million cases of product to customers. All of our vehicles are fitted with Blue Tree tracking to monitor the timeliness of deliveries and aid safety and security. On average we achieve a 99% service level. Blakemore Wholesale Distribution offers access to 20,000 ambient, chilled and frozen product lines including licensed, tobacco and other non-food products. Scan-picking technology ensures that our availability and delivery accuracy are second to none.